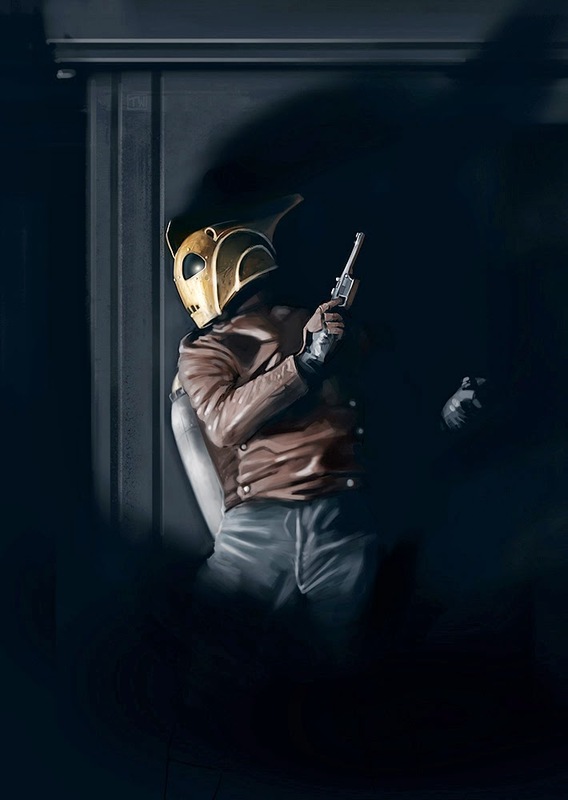 Any chance I had this past week (which wasn't much) I went back and cleaned up my Rocketeer sketch and brought it to a point that I felt was finished while still retaining the energy of the original rough. With almost every painting I do, I like to try and experiment with something new and in the case of this piece it was all about lighting and lost edges. Lost edges are where elements fade into the shadows but your mind is still able to fills in the blanks. Here I tried to make it prevalent in the top edge of Cliff's helmet rudder, his left arm and legs.